Ranbir Kapoor and Alia Bhatt are currently in Bulgaria shooting for Ayan Mukerji's Brahmastra. Yesterday, they had a surprise guest who visited their film set. It was none other than our President Ram Nath Kovind who dropped by to meet the cast and crew with Bulgaria’s President Rumen Radev. The President of India shared the pictures from yesterday's event on his official Instagram and Twitter and tagged Alia Bhatt. 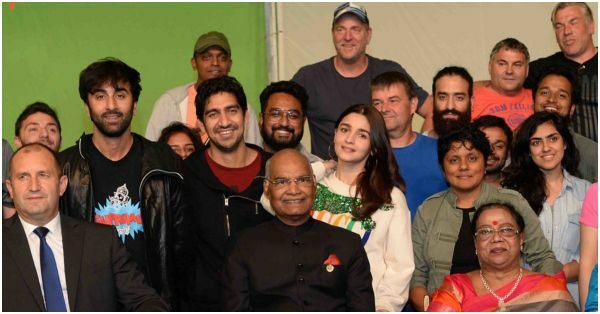 The caption said, "President Kovind and President Radev dropped in at the studio in Sofia where the Hindi film Brahmastra is being made. The Presidents met the Indo-Bulgarian crew and chatted about cinema as a business and cultural link between the two countries." The President is on a three-day visit to Europe. Yesterday, he was in Bulgaria to meet the state head. They visited the sets and interacted with the cast and crew of Brahmastra. They also spoke about the cultural ties and business between the two countries. Meanwhile, Alia and Ranbir and the crew arrived in Bulgaria two days ago and restarted their shoot for the film. Alia keeps posting about flying back to India and leaving for Bulgaria, following a schedule for the movie. 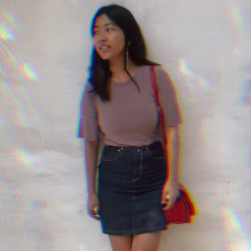 A few weeks ago, she posted some pictures that beau Ranbir Kapoor clicked in Bulgaria. Brahmastra also stars Amitabh Bachchan and Nagarjuna. It is slated to hit the theatres in August 2019. Ranbir and Alia have been in the buzz ever since they started shooting for the film. Plus, they look adorable as a couple and all their photos go viral whenever they come out.